A couple of former Auburn University students have developed a new mobile app designed to alleviate parking headaches at their alma mater. As reported by local NBC affiliate WSFA, the War Eagle Parking app is now available for download. The app monitors parking lots spaces in real time, updating occupancy statuses and saving commuters time when looking for a space. Mobile apps have become a popular solution to the age-old challenge of campus parking. With third-party offerings being the common route, there’s always room for homegrown options as well. Using cameras installed at campus parking lots, the app uses digital video parsing technology to process live video streams that accurately monitor open and filled parking spaces. 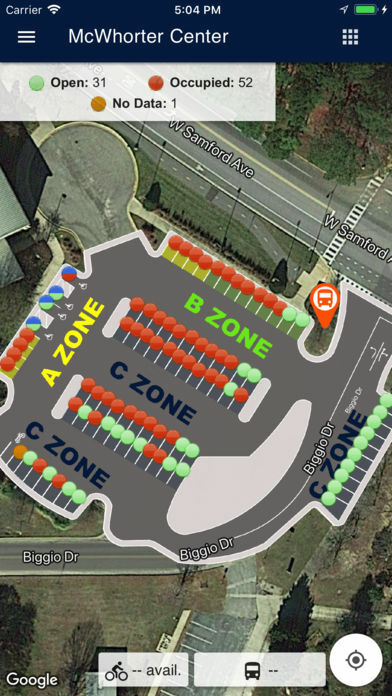 Users can then access this information via the War Eagle Parking app to reveal the location of available spaces, the length of time cars have been parked and other useful information that both the customer and parking manager can leverage. Auburn Parking Services officials say the app could also help students save time by utilizing other transit services offered by the university. “It will hopefully get students to use those lots that right now are being underutilized, but are still serviced by our Tiger Transit and bike-share programs,” says Don Andrae, Auburn University Parking Services Manager . The app currently monitors 2,000 parking spaces across campus, but the developers hope to add another 2,000 spaces year-on-year until all 12,000 campus spaces are available on the app. War Eagle Parking is free to download in both the Apple and Google Play stores.